Every once in a while, I will pop in with a quick project which takes less than an hour. It will be quick, functional and cute. So today I have a storage idea that may not matter to most, but may be necessary for some. In my pantry I normally stored extra paper towels on the top shelf, which took up valuable space in my small pantry. Then I began storing them in a cardboard box on the floor of my pantry. But let’s face it… cardboard boxes are ugly. So I decided to do a quick makeover with some leftover burlap and my trusty glue gun. I literally took the burlap, wrapped and tucked it in the box and glued it inside. Then I took another scrap piece of burlap and created a cute little bow and glued it on the front. Nothing perfect and super easy. The box holds about six paper towels, which works for our family. This would work for a larger box, if needed. I am happy with this easy and quick makeover. Of course it wasn’t a necessity, but whatever. You can try this on any box that you would like to reuse and create storage. Some that make work include shoe boxes, larger cardboard boxes, etc. Hope you try it out! Let me know if you have done something similar. Next Post Live Pretty on a Penny: Blog Tag! Love it! Easy and simple fix. I'm like you..I want everything to look nice! I love the update I will have to try that! I love how your box turned out and the bow you added is the perfect touch. awww, this is so sweet!truly, life is better with a friend. ooops. that previous comment was meant for the Interview with Brandi! Sorry about that.I did want to comment on the pretty papertowel holder and tell you that I love that! 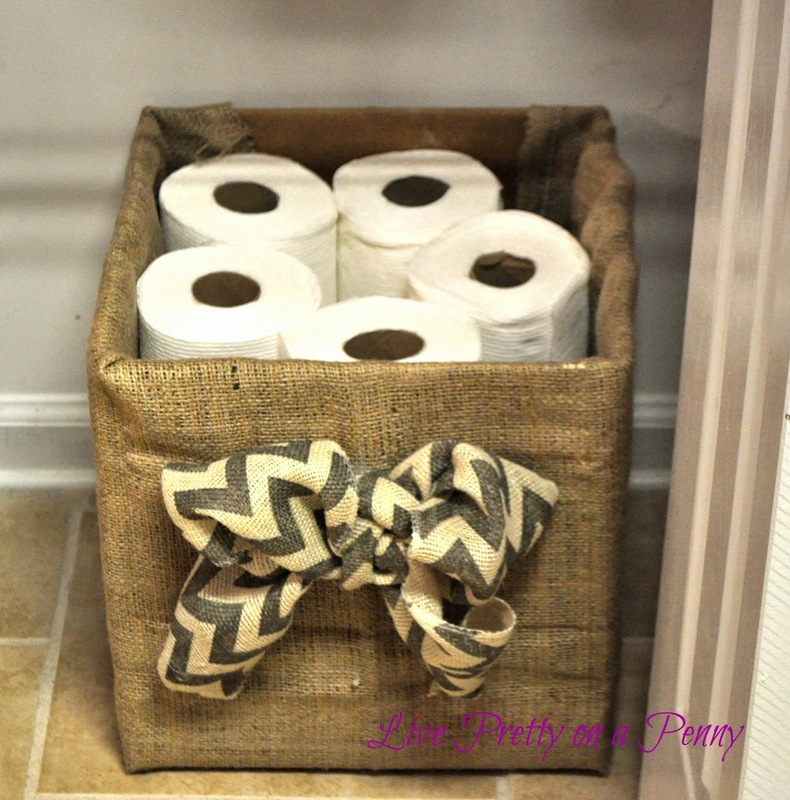 I like burlap but have yet to use it on anything. This is such a great idea! Hey Erin! I saw your post earlier on my phone, but came over today from the desktop since it's easier to comment. Anyway, such a great re-purpose. You could really have fun with this by mixing up different fabric designs. I love the bow. Such a cute addition. What a cute idea. 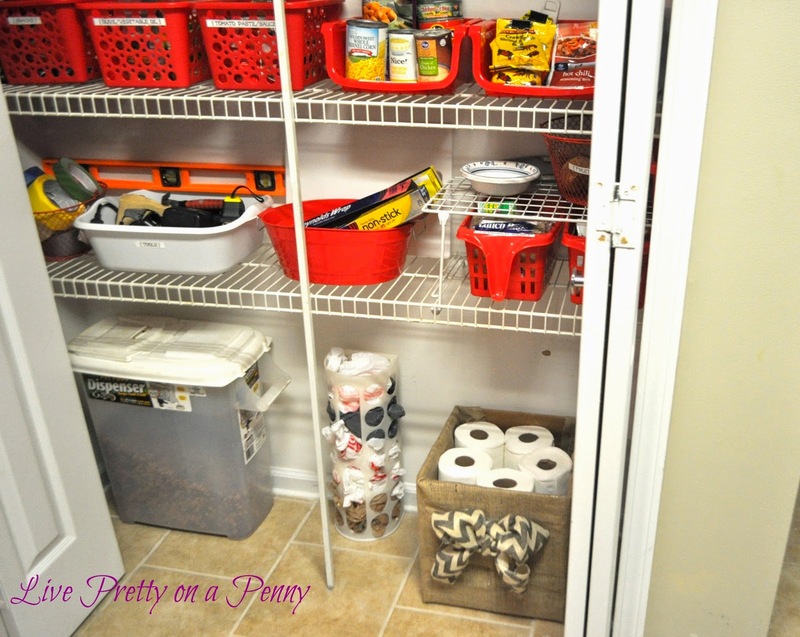 I've been looking for paper towel storage for my pantry and this is perfect. 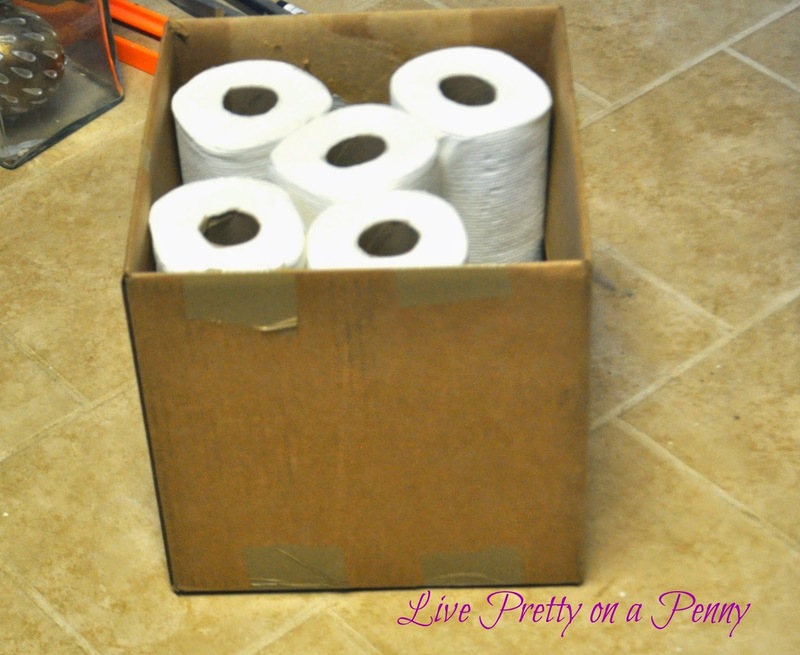 the prettiest tp storage ever, lol. so great to learn more about you, too, in that other post. your movie selection was surprising! rocky? i've never actually seen it…..some sort of philadelphia crime i've just committed, admitting that, lol.